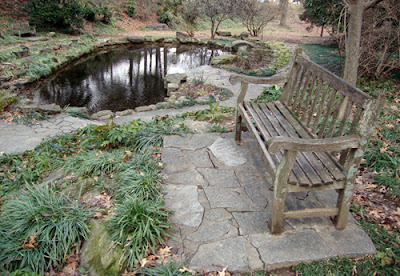 Tourists and locals alike can take respite from the city in any of the more than 350 public parks throughout Atlanta. One park that I return to time and again is Winn Park, specifically Iris Garden (established in 1930). It's in a beautiful residential neighborhood on Peachtree Circle, one block off Peachtree Street near 15th Street. Iris Garden has cascading ponds, elevated benches, stone paths, and incredible views of several Midtown skyscrapers. That's why I like it so much...while you're communing with nature you can at the same time can revel in the architectural marvels of Atlanta. When you're finished with your lunch, book, meditation, or whatever brought you to the beautiful Iris Garden, you're close enough to walk over and visit the High Museum of Art and the soon to open Museum of Design Atlanta (MODA).